Chennai Super Kings (CSK) have announced their IPL return in style with a stunning come-from-behind winning the opening match of the IPL 2018 season against Defending Champions Mumbai Indians. After winning the toss, CSK captain MS Dhoni invited MI to bat first. Mumbai Indians doesn’t start well after losing the two crucial wickets of their opener Rohit Sharma and Evin Lewis at 20 runs. Then MI was rescued by Suryakumar Yadav and Ishan Kishan which stand together for 78 runs third wicket partnership. 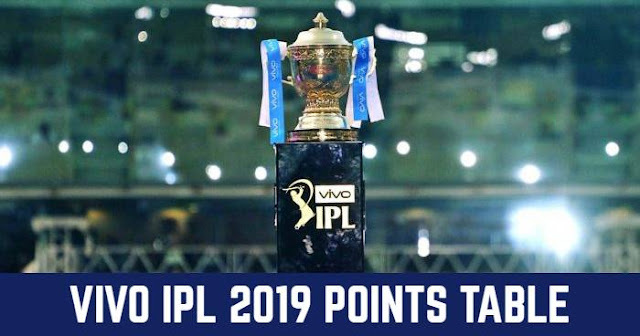 After losing both Suryakumar Yadav and Ishan Kishan at mid-innings, it was Pandya brothers Hardik Pandya and Krunal Pandya took MI to a decent total of 165/4 in their 20 overs with 100 runs coming in the last ten overs. Chennai Super Kings bowlers look ineffective. CSK, on the other hand, started slowly and lost their first wicket as Shane Watson in the 4th over. Soon after that Suresh Rain was out in the 6th over. And then the CSK’s wicket fell at consecutively. 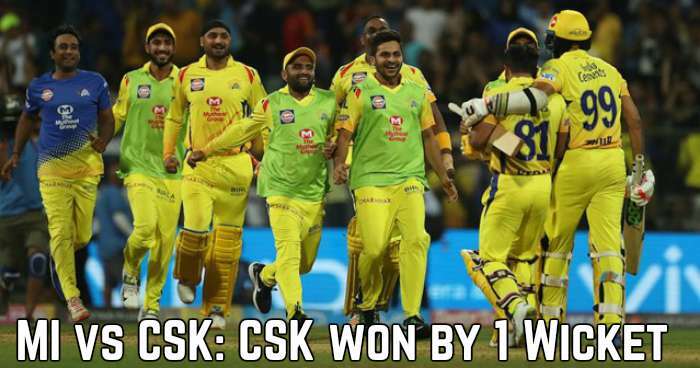 Debutant leg-spinner Mayank Markande and Hardik Pandya shared six wickets between them to reduce the visiting side to 118/8 but Dwayne Bravo’s 30-ball 68 with seven sixes helped CSK to pull off the game from nowhere. One of the best at the death, Jasprit Bumrah was taken by Bravo as he scored 20 runs off his final over, but also giving his wicket at the final ball. Nothing to worry damage was done. With 7 needed for the final one, Kedar Jadhav almost sealed it with a six over fine leg and then drilled the next ball through the covers to get the winning runs. Kedar Jadhav was the hero in the end, sure, but a lot of credit goes to Dwayne Bravo who made a sensational 68, his second highest score off just 30 balls to turn the game around out of nowhere. Wow, what a game. Dwayne Bravo was Man of the Match. It was a great team effort. Want to dedicate this win to CSK fans. They waited so long for this moment. I'm happy to contribute with a match-winning performance. CSK have shown a lot of faith in me. Wanted to give me the best opportunity to start well. Have been working a lot on my batting. Here at Wankhede, once you bat deep, chances are you could win the game. It's a small outfield, ball comes onto the bat. They bowled in my areas. Just happy with the win tonight. I think they missed the competition (on Wankhede fans cheering CSK). CSK-MI is one game that people wait to watch. Support has always been there wherever we've played. We're coming back after two years, that's also the reason that people are eager to watch us in action. Overall the spectators have been very good. I'm a practical person, so I was hoping in the dressing room that the quantum of defeat shouldn't be too big. The idea was - if there's a chance to win, go for it, but also try to get closer to the target. The way Bravo batted, it was really good to see him take the responsibility. Don't think we batted well as a team. But it's the first game, so we'll take the positives out of it. Those will be more important for us in the coming games. The kind of players we have got, our selection will be based on horses for courses where we'll see the wicket and then decide. We'll also keep an eye on players who are injury prone. We'll have to keep an eye on a lot of things. We have quite a few who can bat and bowl. I am happy psychologically, but physically I am hurt. I don't know how long I will be out, maybe two weeks, three weeks or even a month. Fingers crossed, but I would like to appreciate Bravo's knock. Credit goes to him, he brought us back into the game. I knew I couldn't run and I needed to get the runs. I told him (Tahir) that I will try and make the runs myself, play all the six balls and try and stay still. But after three balls, I felt he (Tahir) was feeling itchy. I knew that the bowler would come under pressure, I was waiting for my chance, knew that the bad ball would come, wanted to see how my body was reacting. The deeper I took the game, he (the bowler) comes under more pressure. Feeling low at the moment, credit to Bravo, he played well, hit the right pockets, there was some dew and that didn't help us, but they played well. We need to improve our death bowling, we were in the game till the 17th over, the last three overs didn't go our way, dew isn't an excuse. We knew with 165 on the board, we needed to bowl very well, but I think we were 10-15 runs short. Bravo bowled very well in the end, we have got a great bunch of guys, we need to look into the positives and learn from it. Just the first game, it isn't the end of the world, we will need to learn from this.